Last year, about 50.7 million students attended public elementary and secondary schools. They arrived at school with the sole goal of graduating. But here’s a thoughtful statistic that should concern us all: Over 7 million (1 in 7) U.S. students miss nearly 30 days of school each year. This is disturbing. Not just for the students and their families, but for the United States. Chronic absenteeism is widespread. When a student misses more than 10% of a school year, it is called Chronic Absenteeism. Learning doesn’t happen in a day. Lesson plans are designed to master concepts and information in a progressive way. Absenteeism in school results in missing out on class work. This, in turn, reduces the interaction between teachers and students regarding the course curriculum. Chronic absenteeism inhibits learning ability of students. Irregular attendance affects student attitude and behavior in school. Students experience the effects of poor learning outcomes later in life, from poverty, poor health to involvement in criminal activities. That’s why I’m relentlessly on the lookout for the best practices to combat chronic absenteeism; that challenge these odds. What Measures Are Schools Taking To Combat Chronic Absenteeism? The very students who face serious challenges at school and need more educational support are the ones who are chronically absent at school. Schools have been working for more than a decade to reduce absenteeism through the implementation of interventions. Interventions involve monitoring student attendance, suspensions, and course grades to provide personalized attention to at-risk students. Several recent measures in curbing absenteeism include information-based interventions to improve student attendance. Parents receive a postcard about the importance of attendance. A recent study by U.S Department of Education has revealed that “sending postcard reminder to parents about chronic absenteeism increased attendance by 2.4 percent” and “Text messaging to parents, which has gained popularity recently has been shown to improve attendance by 17 percent”. Boosting engagement rate between students and teachers is the way forward to combat chronic absenteeism, and dropout rates in school. How do you do it? With Education Technologies. A study shows that over two-thirds of the American teachers want to use more technology in their classrooms since they believe it as a motivating factor for students. EdTech paves the way for better communication between students, teachers, and parents. It provides parents with a better understanding of their children’s progress, educational challenges and needs. Students have an option to continue their studies and talk to their teachers after the school hours through learning platforms or edtech apps. Sharing lecture videos or facilitating online learning opportunities make students learn at their own pace. With a drastic decrease in attention span – game-based learning, video tools, VR, and AR are allowing teachers to keep their classes engaged. When students participate in the class creatively, they engage with teachers better and learn at their own pace. This way absenteeism will be eradicated. How can teachers start to use technology in the classroom? While everyone wants teachers like you to use technology in the classroom, some teachers will shy away from using technology in the school due to the following reasons. Never fear. There are easy edtech tools available to bring your classroom and students technologically to speed. Does your student have access to any digital device and a good internet? Well, that’s all you need to start using technology in the classroom. Kinvolved helps minimize absenteeism by increasing student achievement. They take an integrated approach to fighting chronic absenteeism by using technology tools and human interventions. Kinvolved strives hard in changing the deeply ingrained behaviors of students and the external factors affecting student attendance. 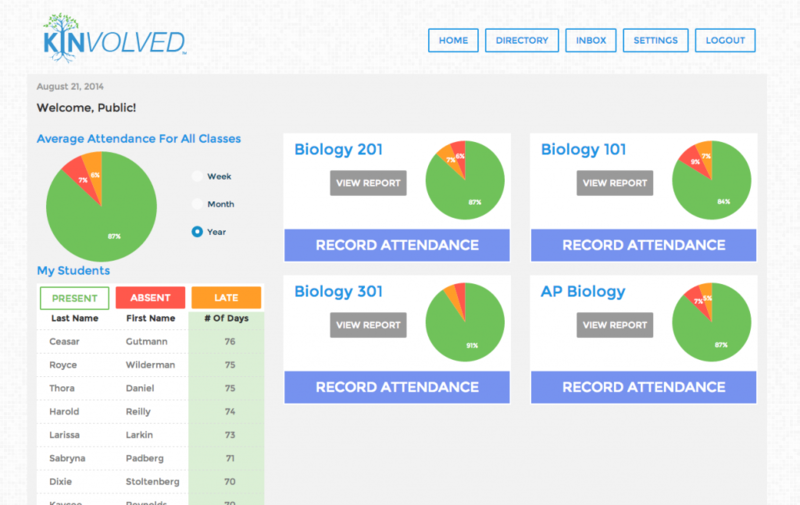 It is a powerful, user-friendly web and mobile app that equips educators, parents, and students with data that highlights attendance patterns. Kinvolved makes it easy for parents who are hard to reach due to their irregular schedules, work commitments, or language barriers. 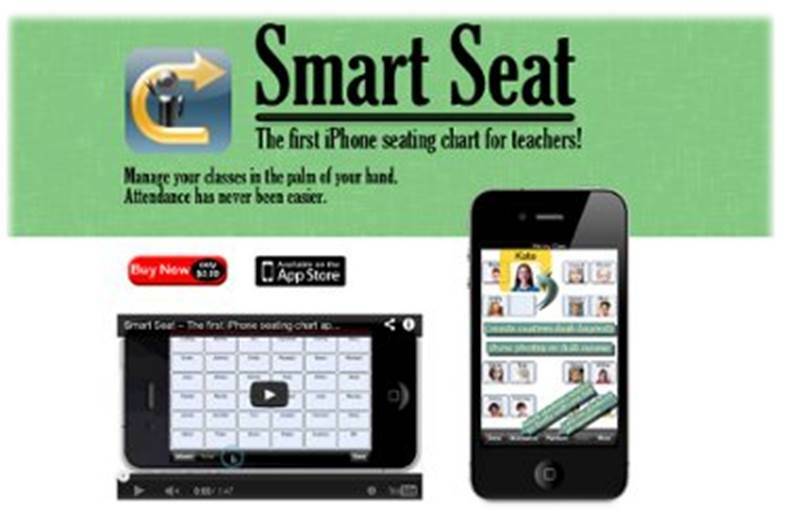 Rather than taking attendance manually on a paper or trying to put students into groups, teachers can use Smart Seat. Teachers can add student names, insert notes about where students like to sit and who they can and cannot sit by. Teachers can also use it to put students into groups, arranging them based on their strengths and weaknesses. This way teachers can motivate them to move beyond their comfort zones and work with new friends. Every day, teachers can also promptly take attendance by marking students present, absent, excused, or dull. They can then generate reports to see attendance records for the entire class and individual students. Google Classroom is a free app for schools and anyone with a personal Google account. With Google Classroom, students and teachers can connect from anywhere and on any device — inside and outside of schools. 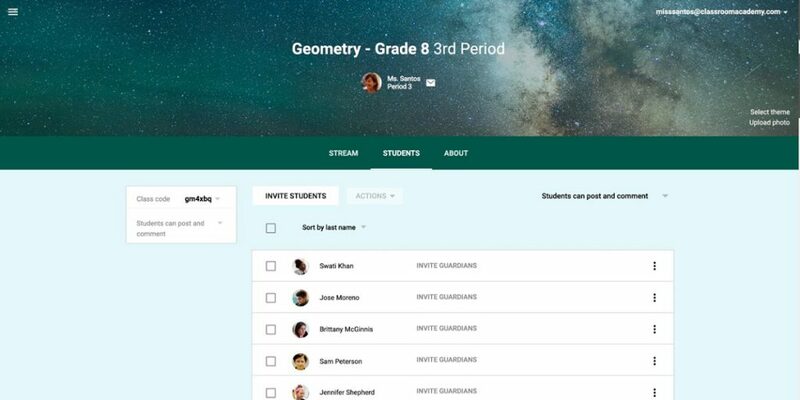 Teachers can create classes, distribute assignments, send feedback, and stay organized all in one place. Classroom seamlessly integrates with other Google tools and helps teachers refresh their curriculum with integrated education apps. 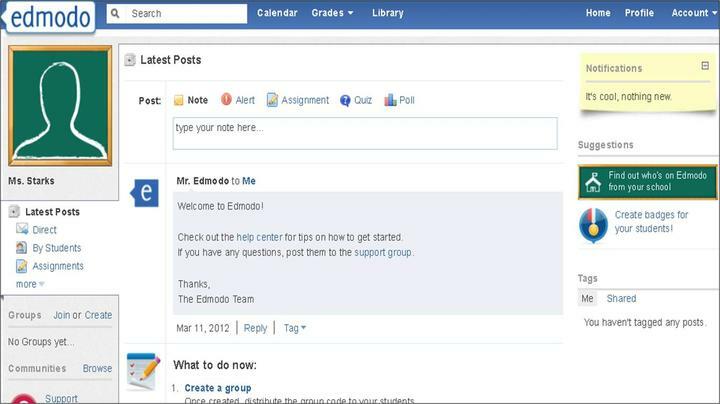 Edmodo is an LMS with intuitive features and unlimited storage. 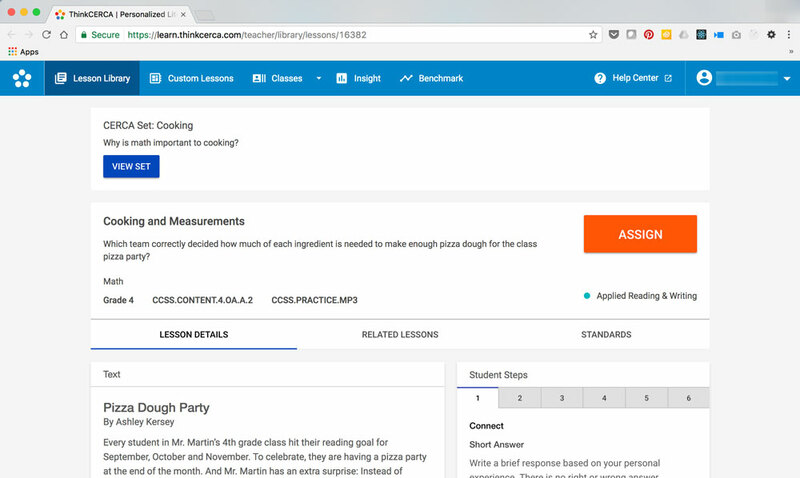 Teachers can create groups, assign homework, schedule quizzes, and manage progress all in one place. Edmodo is seamlessly integrated with Google Apps for Education, Microsoft OneNote, and Office. The Edmodo parent mobile apps make sure whatever you teach during the day gets backed up at night for parent supervision. Share assignments, due dates, classroom announcements, events, set up reminders and more. Moodle is an LMS designed to provide teachers and students with a single robust, secure and integrated learning system to create personalized learning environments. 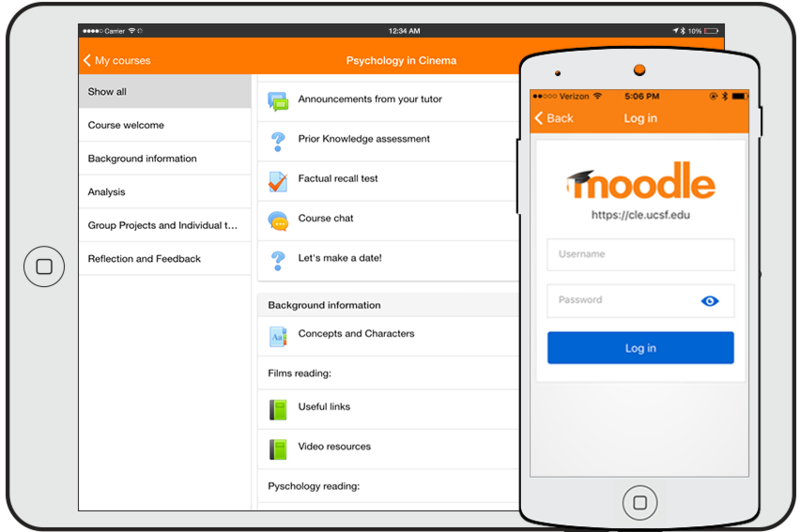 With Moodle, teachers can submit or grade assignments, post in forums, receive notifications, and integrate with other education apps – on and offline. Moodle uses custom grading scales and rubrics to assign control when marks are released to individual learners. Unlike other LMS, Moodle makes it easy to work and learn together in forums, quizzes and get feedback through polls and surveys. 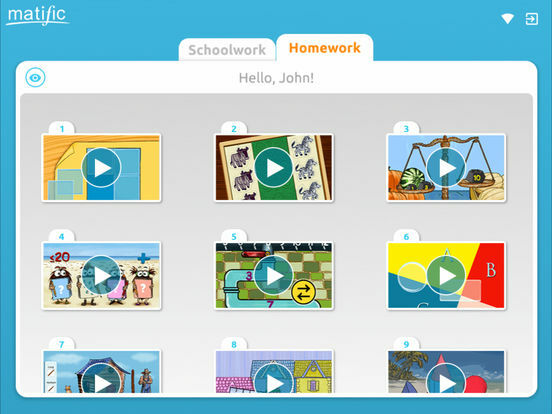 Hippo Video is an all-in-one online video tool for teachers and students. It takes care of the entire life cycle of video, from creating, editing, hosting, sharing to tracking. Hippo Video contextually integrates with Google Classroom, Google Slides, Google Docs, Gmail, and Desire2Learn LMS. For video creation, you can choose between webcam, screen record, and an audio option to start recording. Or import your videos from anywhere and start off with video editing. You can also make use of the Chrome Extension to record and narrate over your screen. Hippo Video has a quick video editor that lets you trim clips, cut, and crop videos. Add text, emojis, callout, unlimited audio and video tracks to give your videos more context. Point it out right from versatile markup options like highlight, focus, erase, pause and play to find those perfect shots. 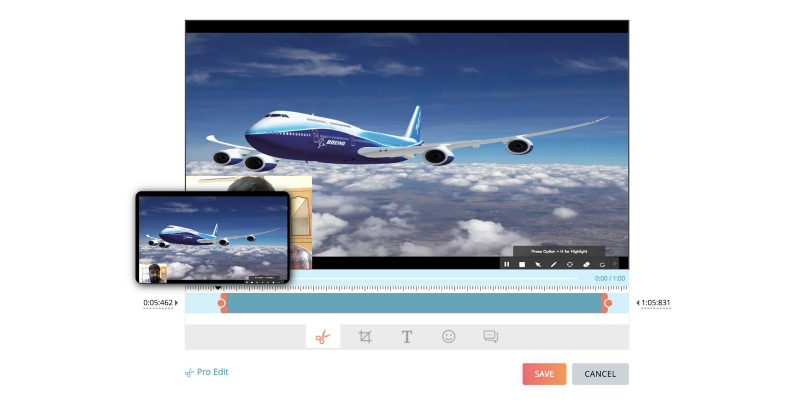 Hippo Video supports editing in Chromebook for the benefit of educational users. Videos created will be available to the whole class and stored in the cloud. Teachers can set privacy and password to protect videos. Grant only necessary video access to students. 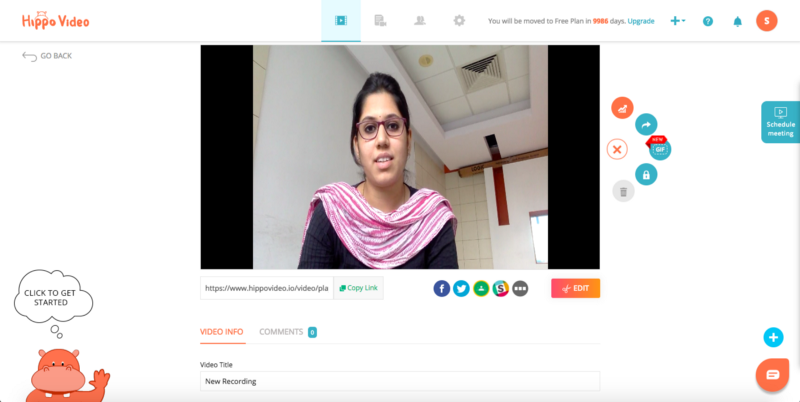 With its real-time analytics, teachers can see the stats on how many students have watched the videos and also how it is performing on different channels shared. Clips is a video creation app for iOS devices. Students can download the free iOS app on their phone with their Apple ID password. Teachers can ask students to take a photo or video from within the app or choose an existing photo or video from camera roll to begin. 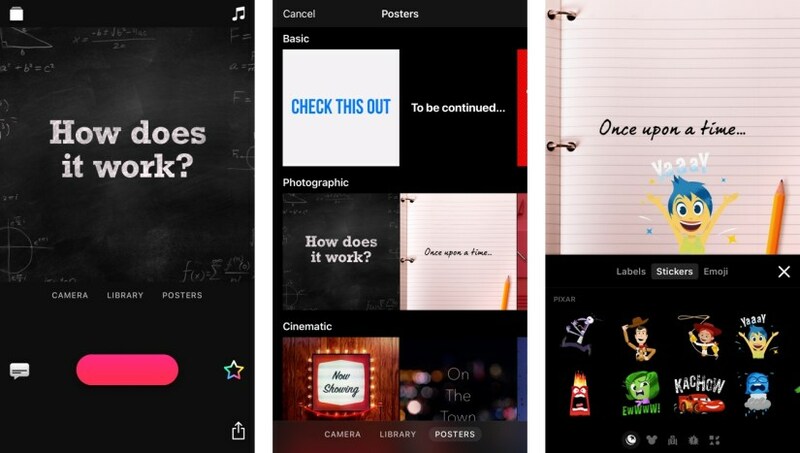 Or they can browse the animated posters section to choose a themed template like “My Story” or “Did you know?” to get started with storytelling. Matific hosts hundreds of fun math games covering math skills from kindergarten through sixth grade. It helps reduce kids math anxiety and improve their math scores. This ensures that student can master essential topics, from addition and long division to fractions and elementary level statistics. Fully aligned to the national math curriculum, this app can boost student’s performance at school and is perfect for homeschooling as well. 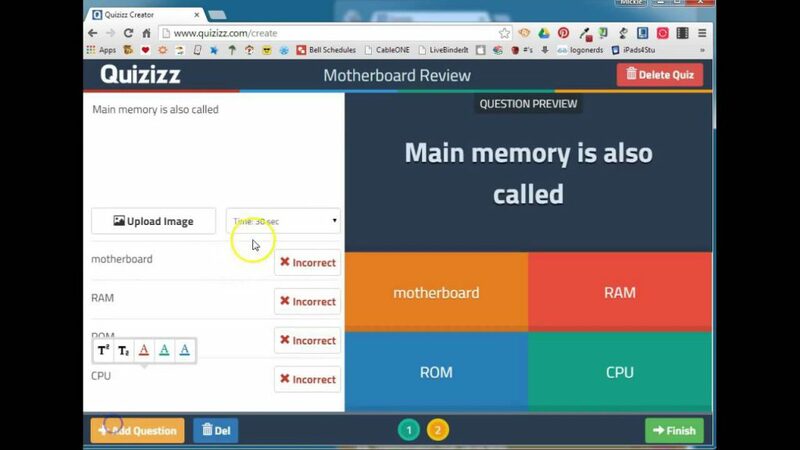 Quizizz editor is a self-paced learning tool which makes it easy for teachers to create great quizzes in no time. With the app, students can play quizzes assigned by teachers or compete globally on live games. Climb the leaderboard, unlock avatars and customize the game with themes, music, and memes. While your students are busy learning with fun, you are provided with individual class and student-level data. The Yard Games help K5 to K8 grades learn science by playing games. Students play interactive games for 10 to 20 minutes to learn about the carbon cycle, the water cycle, antibiotic resistance, waves, magnetism, earthquakes, and more concepts. Students can play online too without installing any software. Some of the games are single-player, and others allow students to play against each other to make it more interactive. 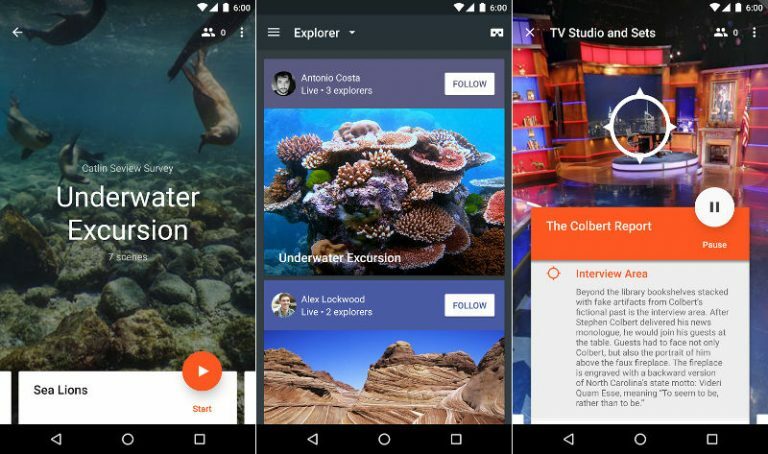 Google Expeditions is a VR teaching tool that lets teachers take their students on immersive virtual trips — explore historical landmarks, dive underwater with sharks, even visit outer space! This tool is built for the classroom and small group use. Google Expeditions allows a teacher to act as a “guide” and lead classroom-sized groups of “explorers” through collections of 360° and 3D images while pointing out interesting sights along the way. Have you ever imagined what the human body is like from inside? With Arloon Anatomy app, you can learn about the human body while having fun. 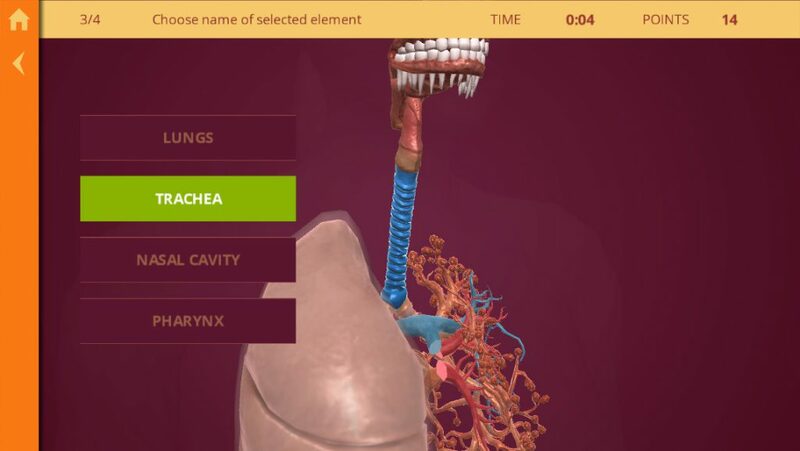 Anatomy combines realistic 3D models with an Augmented Reality viewer that makes your natural science classes unique and surprising. You can select each organ, rotate it, find out interesting details and study it virtually, viewing it from all angles. Teachers can test student knowledge with fun exercises that will help them research and evaluate what they have learned. Before the release of Master Edition, there was Google Story Builder which let students write stories, and watch their writing experience as a video. Now that Google Story Builder is gone, educators have started to use Masters Edition. 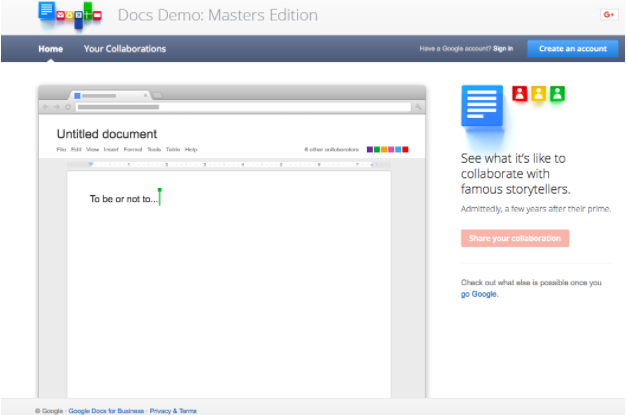 With Masters Edition, students can collaborate and write stories with other famous story writers. A renowned writer will start the story off, and your students can finish it. Now and then another renowned writer will drop into the Doc and add a line or two. If you think you are finished writing the story, you can save the work and get a short URL to share with the class. Your peers can also collaborate on the rest of the story. This app is perfect when you want the whole class to take part in a fun group activity. ThinkCERCA helps students develop their critical thinking and argumentative writing skills. The CERCA acronym stands for Claims, Evidence, Reasoning, Counterarguments, Audience. CERCA help students to unpack these elements from their readings and use them in their writing. Students can answer multiple choice questions, type in responses to short-answer questions, highlight text, and make claims about what they’re reading. They can then support these claims with evidence from the text, explain their reasoning, and address possible counterarguments. Students are motivated to use audience-appropriate language as they write, and can reference a dictionary to make sure their work is on target. From there, students can draft an essay that teachers can score online.